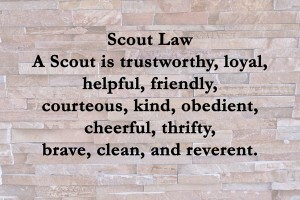 January 2016 - Executive Leader Coach @ dbkAssociates, Inc. : Executive Leader Coach @ dbkAssociates, Inc.
A Scout Is Trustworthy . . .